Former MK David Rotem Passes Away, Dr Meir Noam Resigns as Head of the IPAA but is Appointed Head of the Ethics Committee For Patent Attorneys, Meanwhile Ms Einav Zilber is Appointed Interim Head of the IPAA. David Rotem (Israel Beteinu) served three Knesset terms, and had a string of achievements and involvements. He warrants a mention in this blog since, as then Chairman of the Knesset Constitution, Law and Justice Committee in 2010, he harshly criticized Dr Meir Noam, then Israel Commissioner of Patents for failing to print the basic details of new patent filing, whilst nevertheless, collecting the publication fee from all applicants over four years, amounting to some NIS 3,000,000. What had happened was that in 2006, Dr. Noam decided to publish the data regarding new applications on the Internet rather than in the Register of Patents. However, according to Rotem, the Law required these details to be printed, and publication on the Internet was insufficient. More details may be found here. As a result of this, a class action was filed against the Israel Patent Office, somewhat prematurely, Director of Justice Ministry Dr Guy Rotkoff announced that the Israel Patent Office would refund the fees, Dr Meir Noam’s generally very successful tenure as Commissioner of Patents and Trademarks came to an end and Dr Guy Rotkoff became acting Commissioner, and the Israel Knesset decided to retroactively amend the Patent Law so that publish could be understood to mean publish on the internet. Despite having reservations with retroactive amendments in general, I note that I suggested this solution as the best of the various evils. The irony of course, is that whereas technically MK Rotem Z”L was correct and Dr Noam’s action was ultra vires, Dr Noam was correct in that the printed gazettes were simply a waste of paper and Internet publication is more convenient and more ecologically friendly. The Knesset is not very good at amending IP laws and seems to think that there are more pressing issues for it to deal with. More recently, Dr Noam became the head of the Israel Patent Attorney Association (IPAA). Now, citing personal but not health issues, Dr Noam has resigned this position, and, in the interim before a general meeting is called, Ms Einav Zilber, in-house patent attorney at Applied Materials, has been appointed acting chairperson. We note that Dr Noam’s father passed away a couple of months ago, and hope that he has not had further bad news. We wish Einav and the IPAA every success. Although she is currently in-house in industry, she previously worked in private practice in Reinhold Cohn, so has experience as a service provider as well. Dr Meir Noam is not retiring completely from the IP world, as he has been appointed head of the Ethics Committee for Patent Attorneys instead of the late Adv. 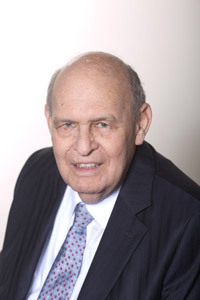 (and at least formally, Patent Attorney) Arnan Gavrieli Z”L who passed away in January.